Sometimes striking out on one’s own means stepping back. That’s the tack Brahms took in the 19th century against Wagner’s “over-the top” excesses. Samuel Barber’s romanticisms were just as courageous as 20th-century dissonance. 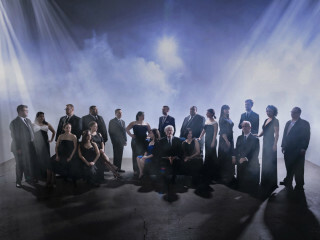 In this performance, we hear the works of these two passionate purists including Brahms’ Four Songs for Women’s Chorus and Neues Liebeslieder Waltzes along with Barber’s celebrated Adagio for Strings set for choir to the text of “Agnus Dei.” Renowned pianist Brian Connelly joins the Houston Chamber Choir playing a 19th-century Bösendorfer piano Brahms himself could have played.